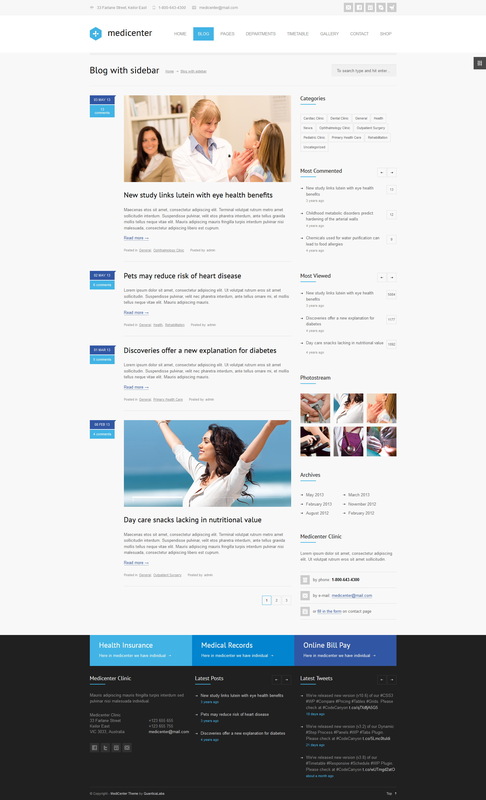 Health WordPress themes collected at Themeshunter.com are developed for anyone from enthusiasts bloggers on fitness/exercise/diet/wellness/health to trainers and coaches. 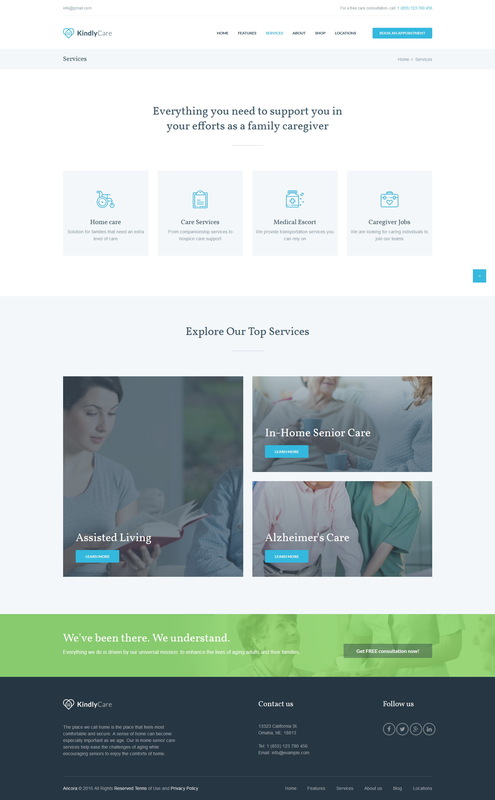 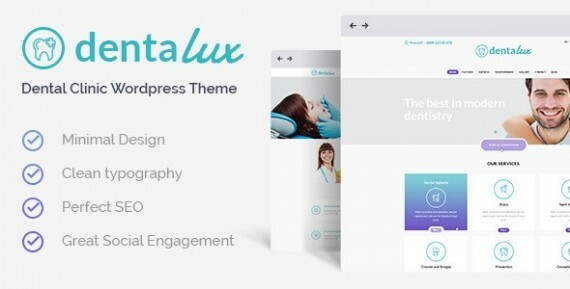 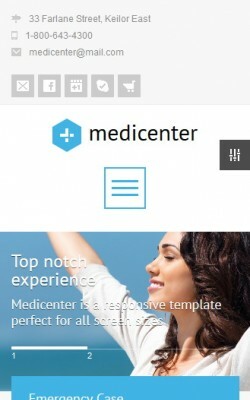 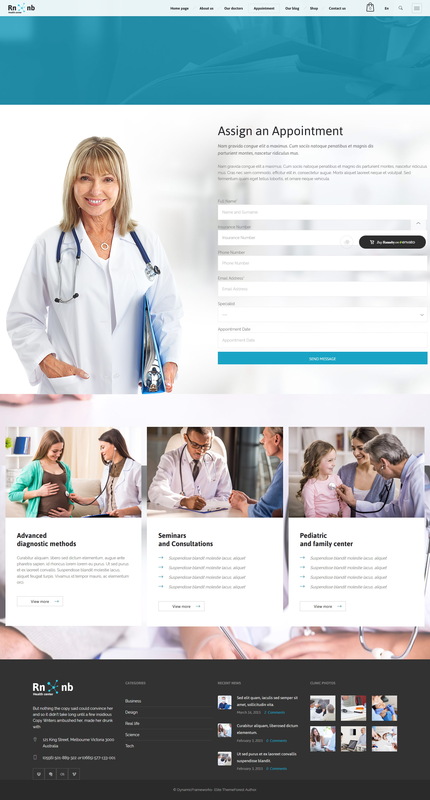 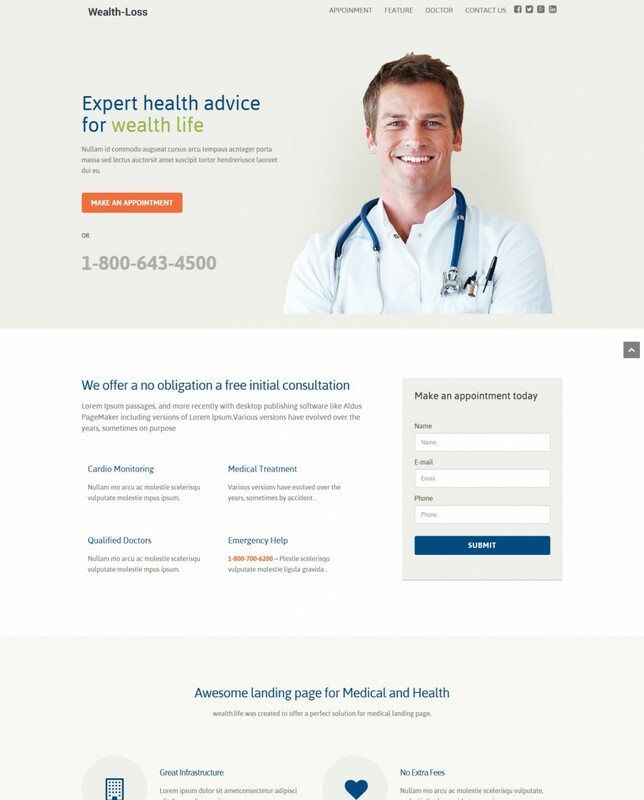 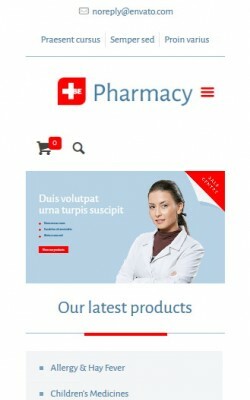 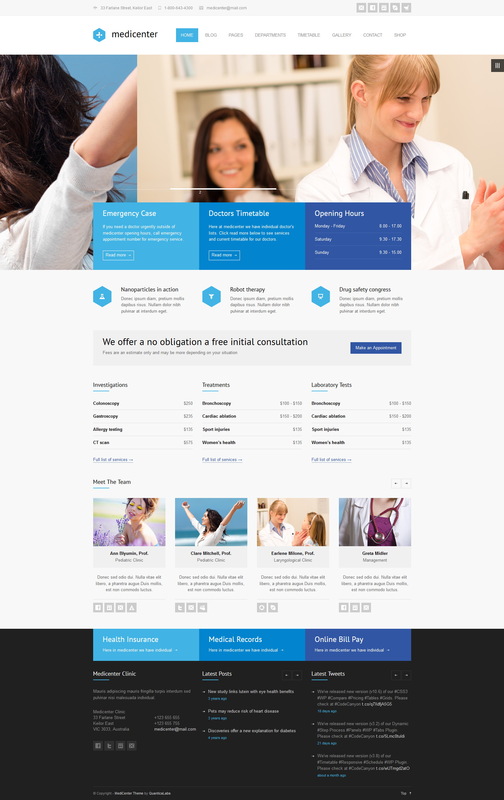 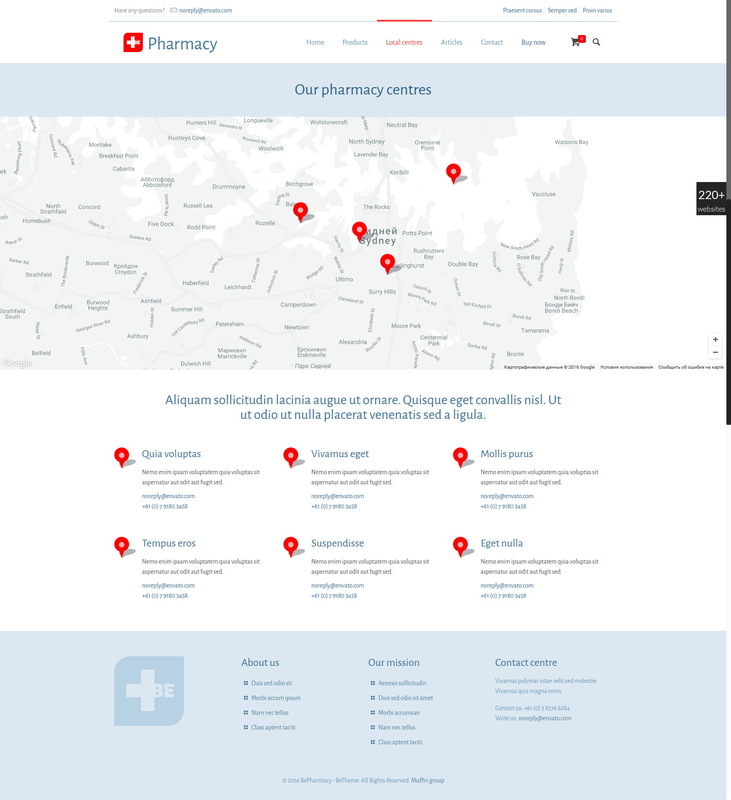 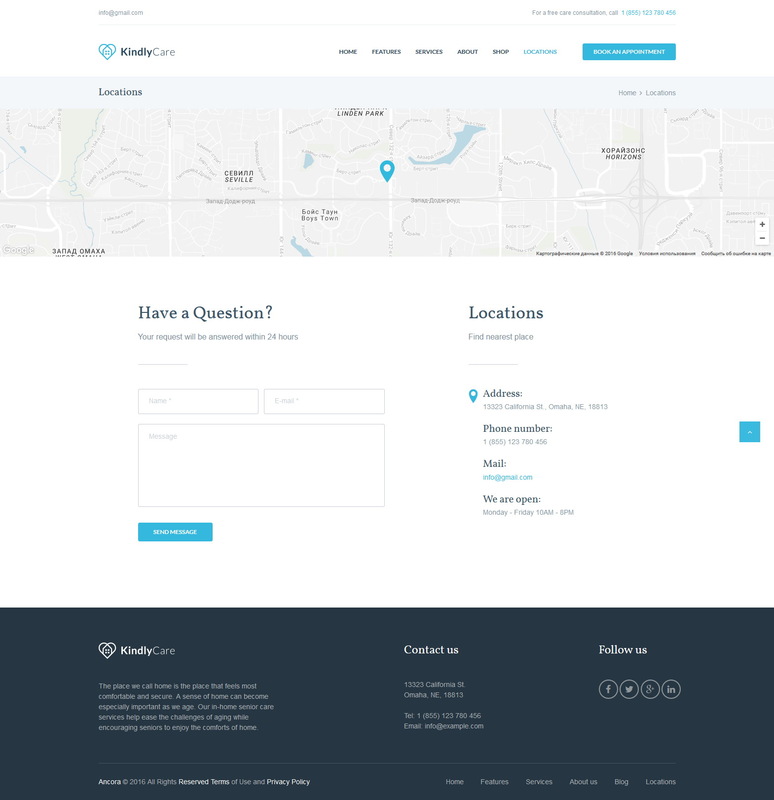 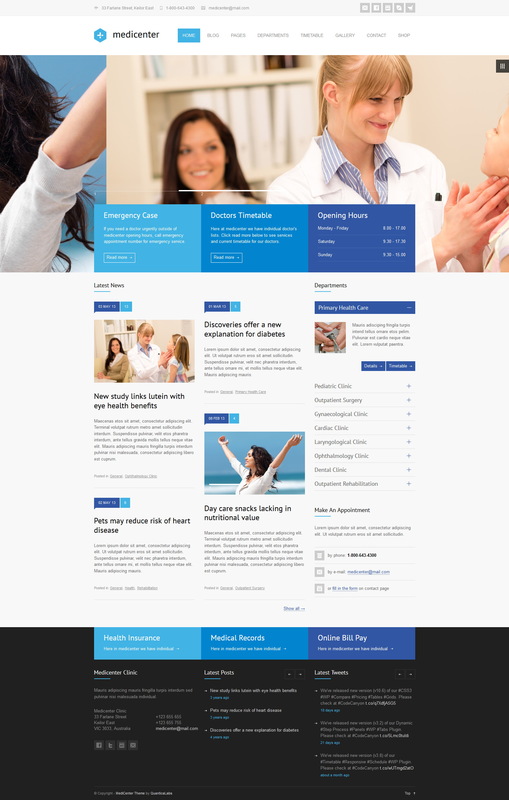 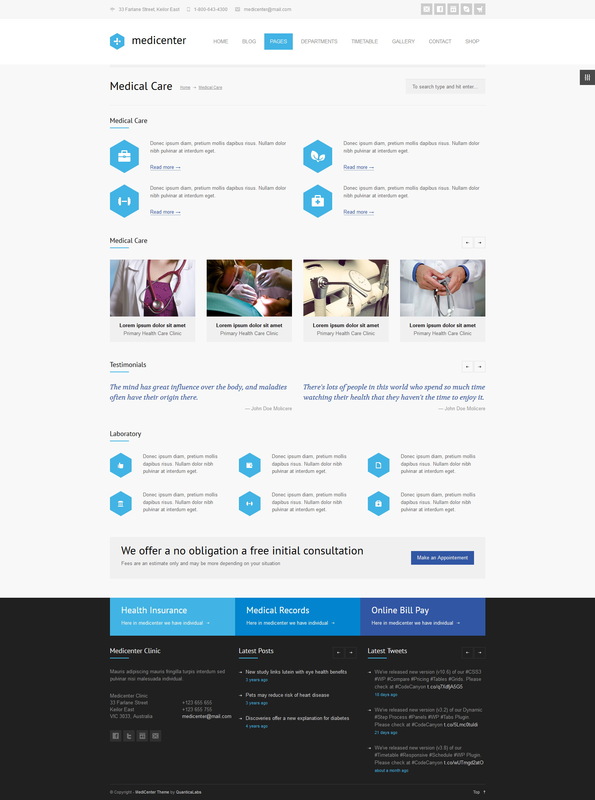 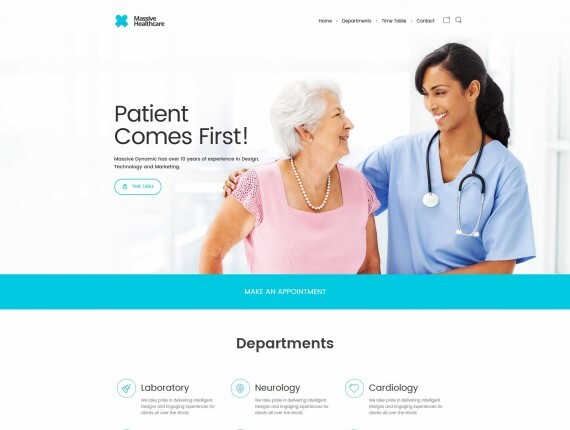 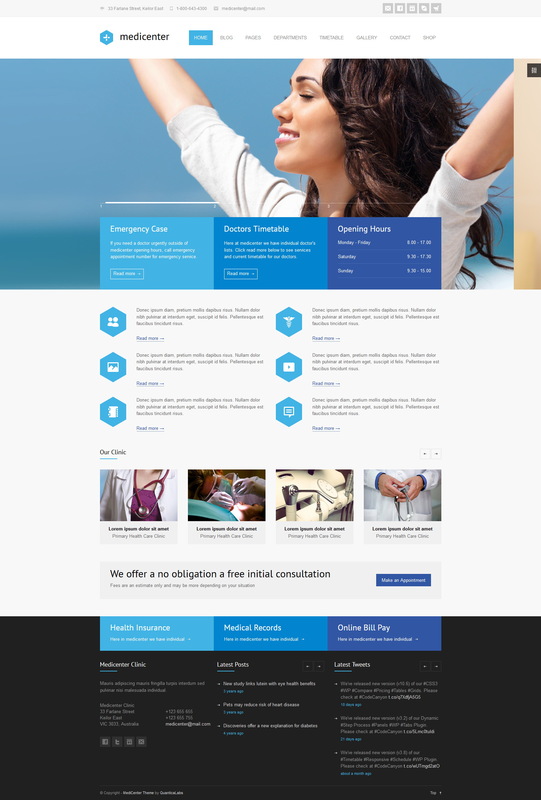 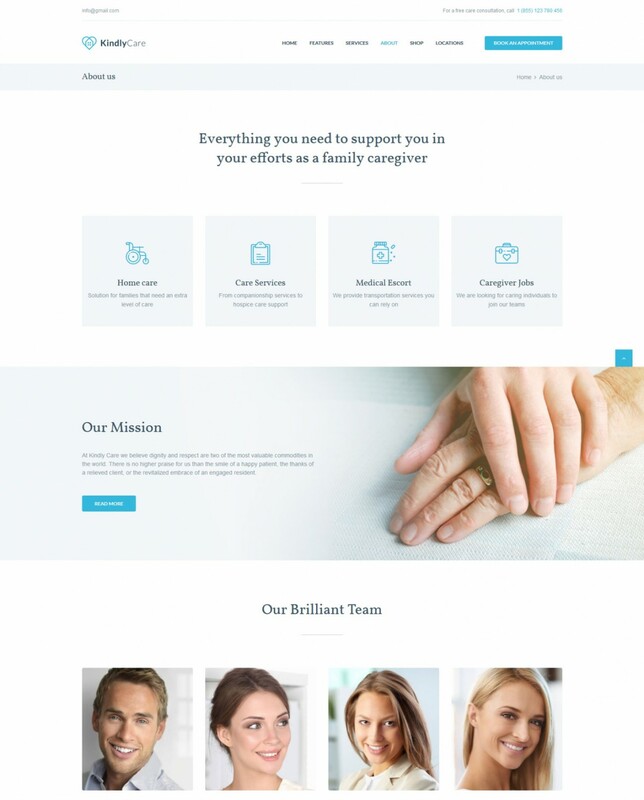 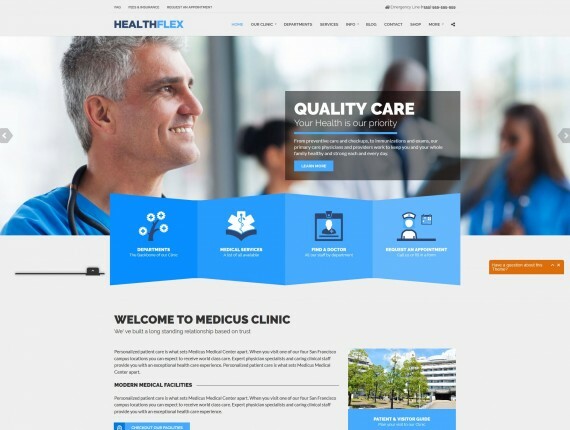 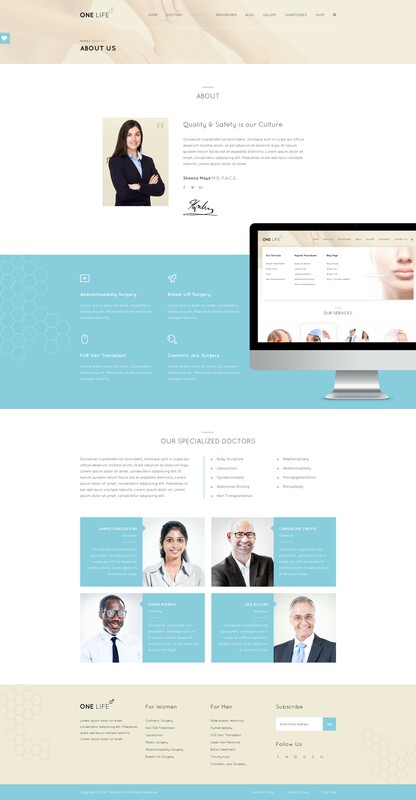 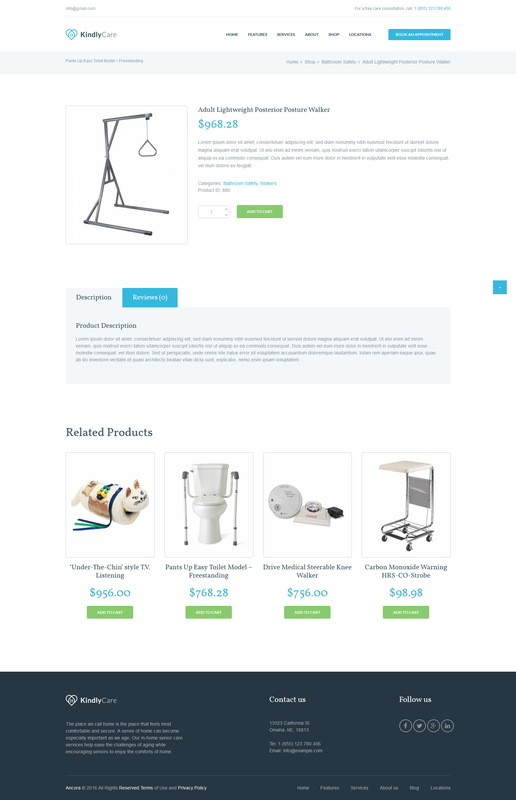 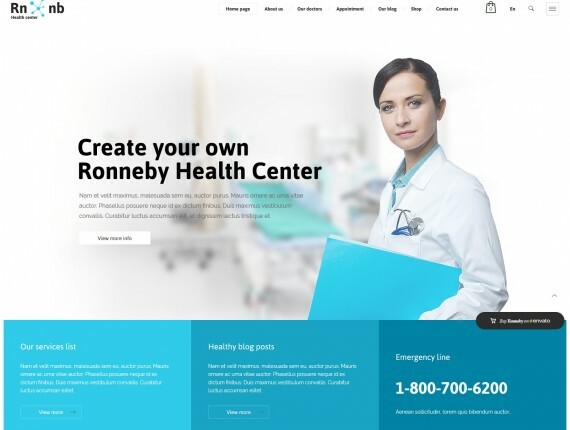 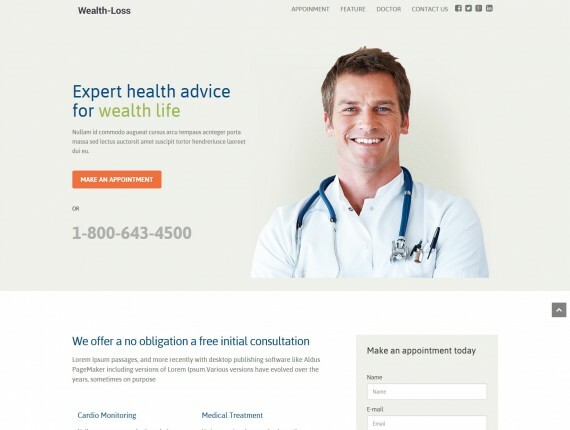 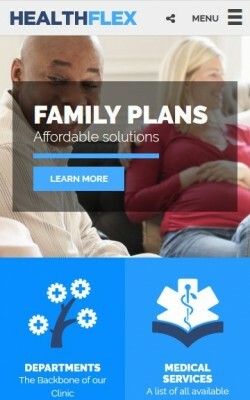 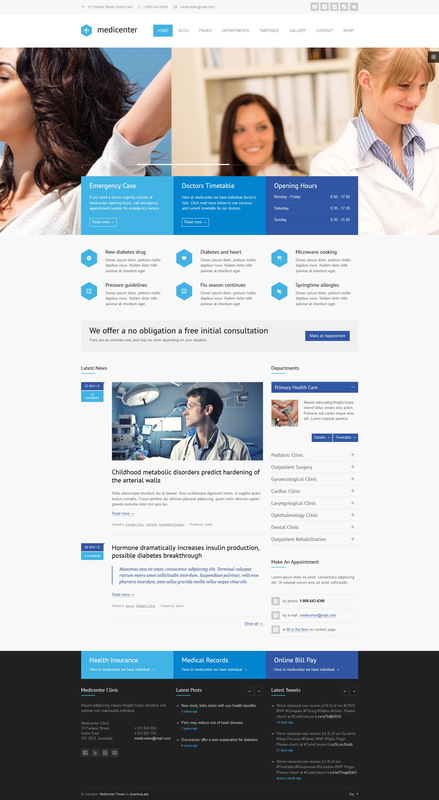 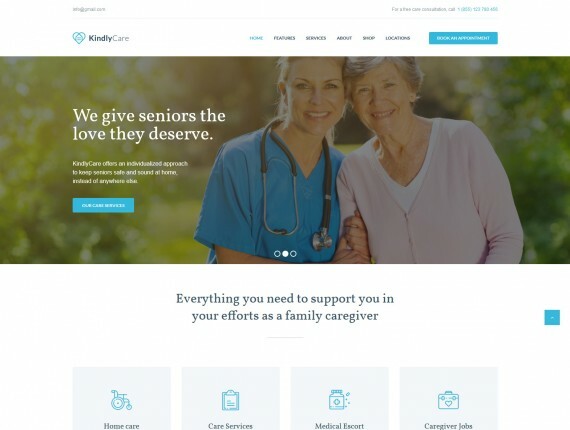 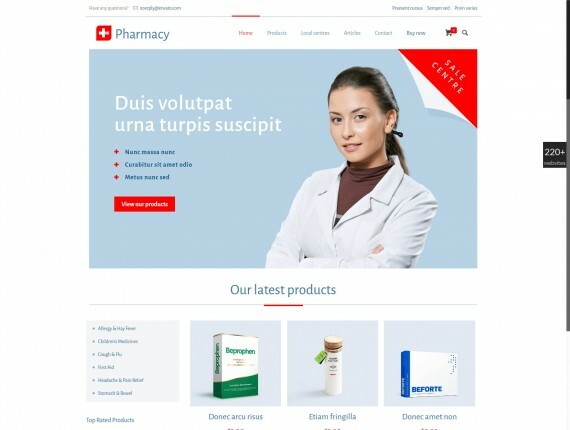 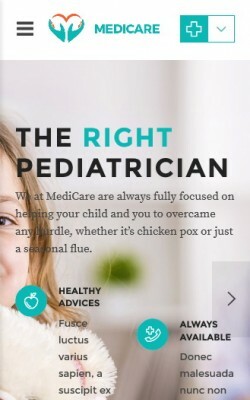 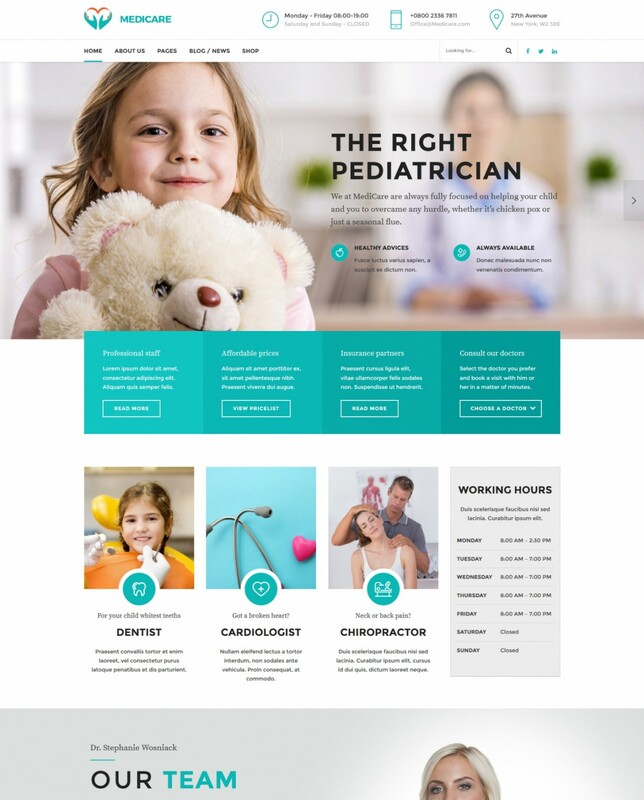 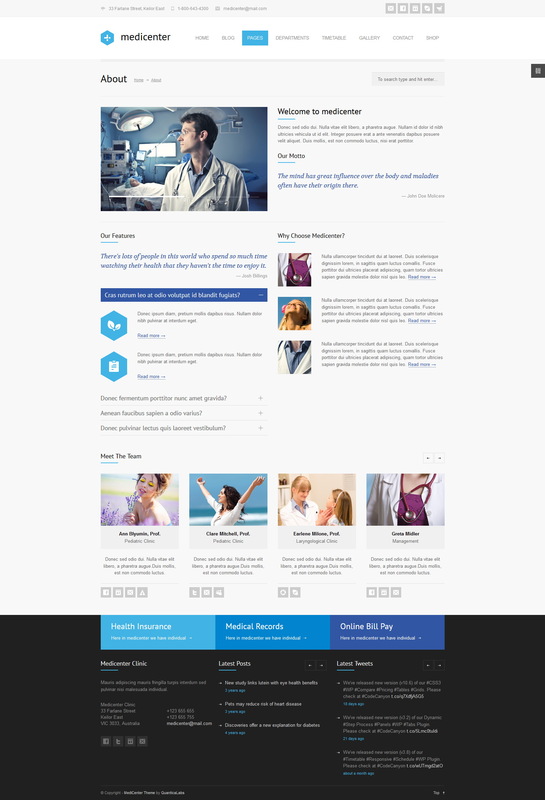 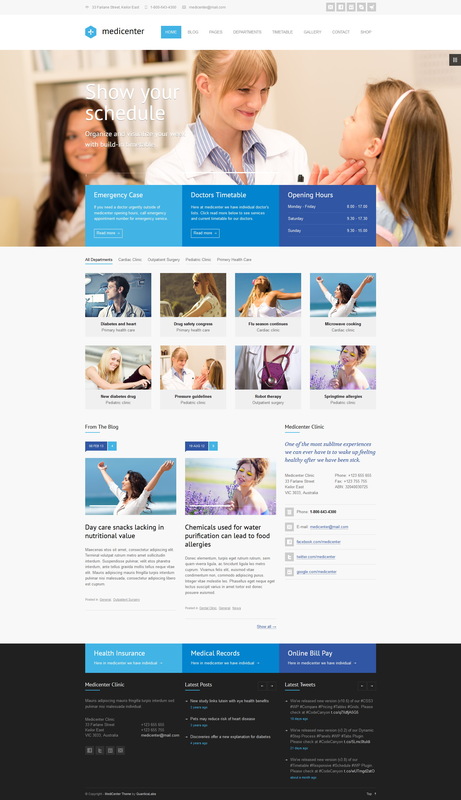 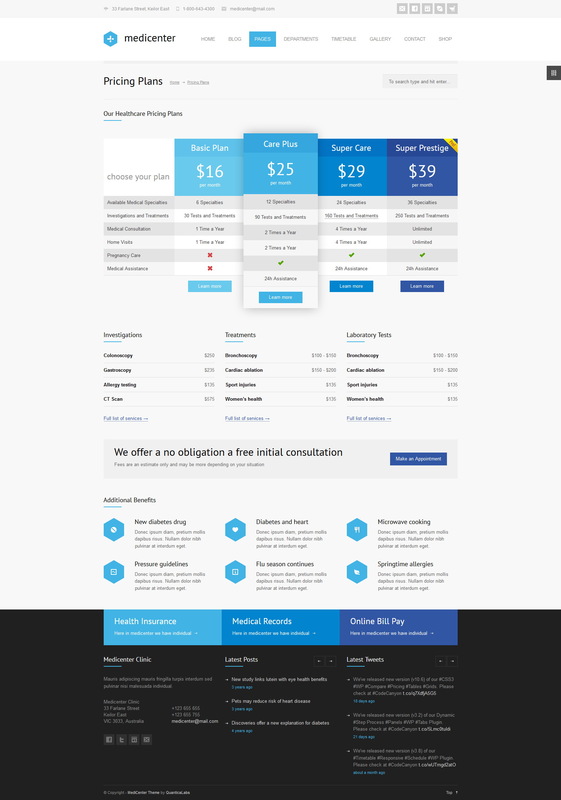 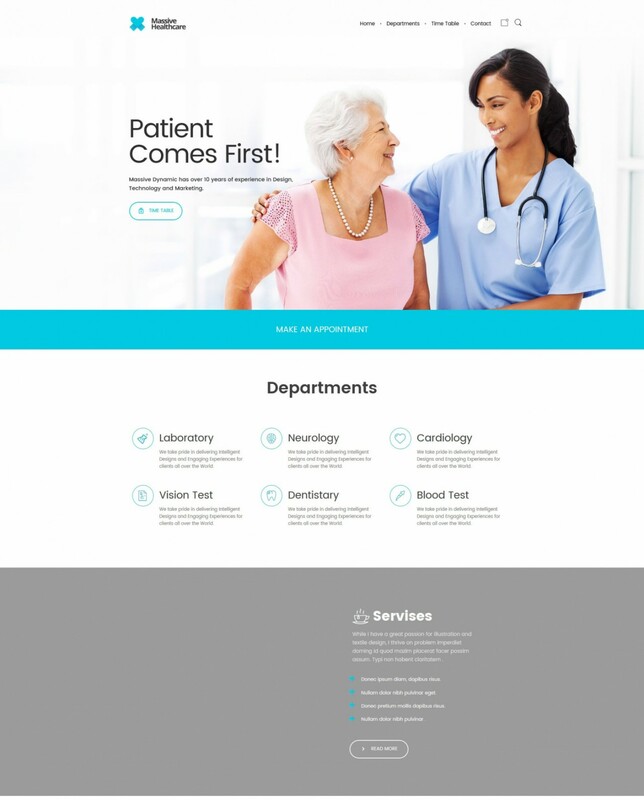 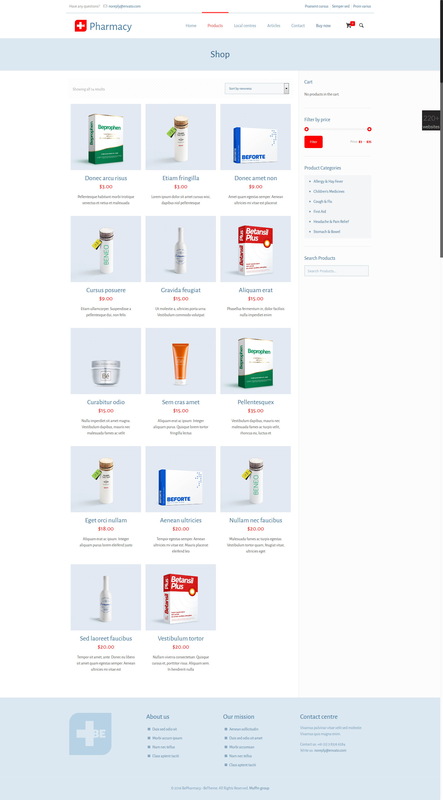 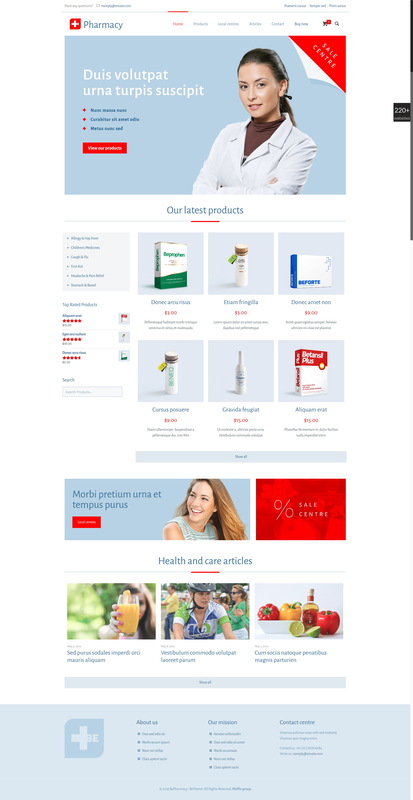 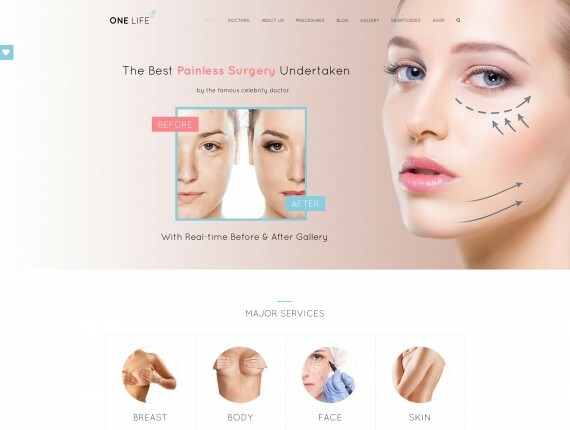 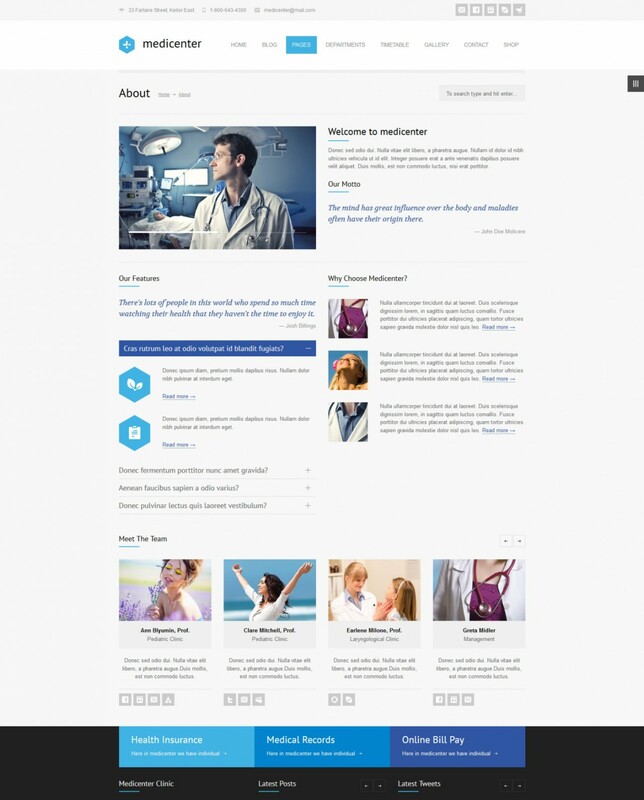 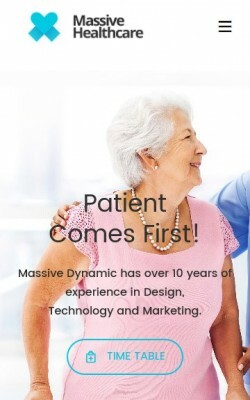 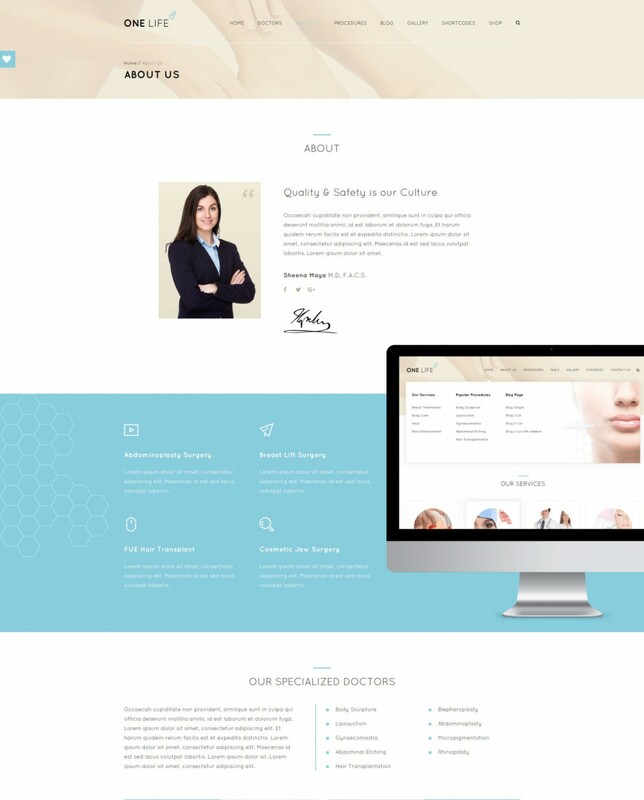 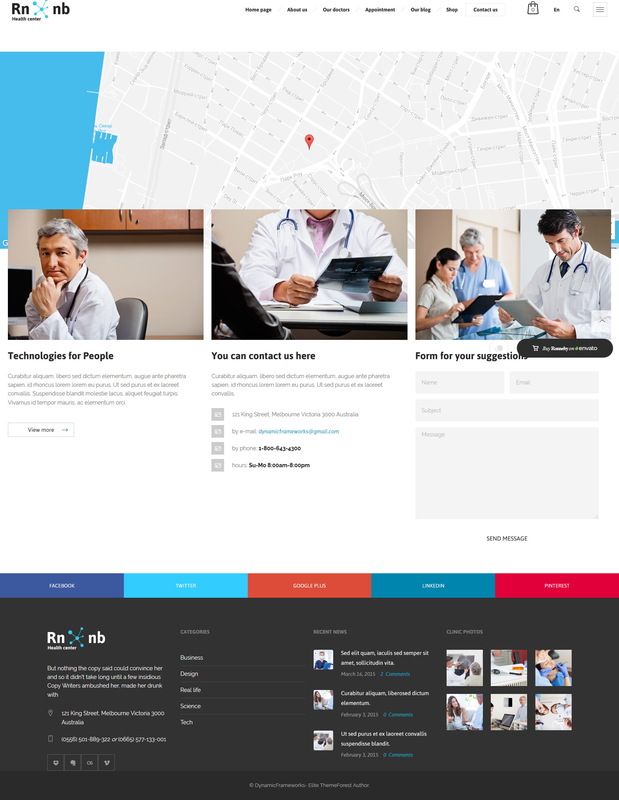 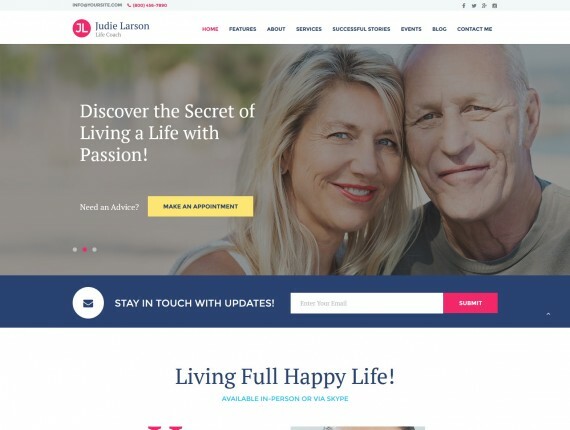 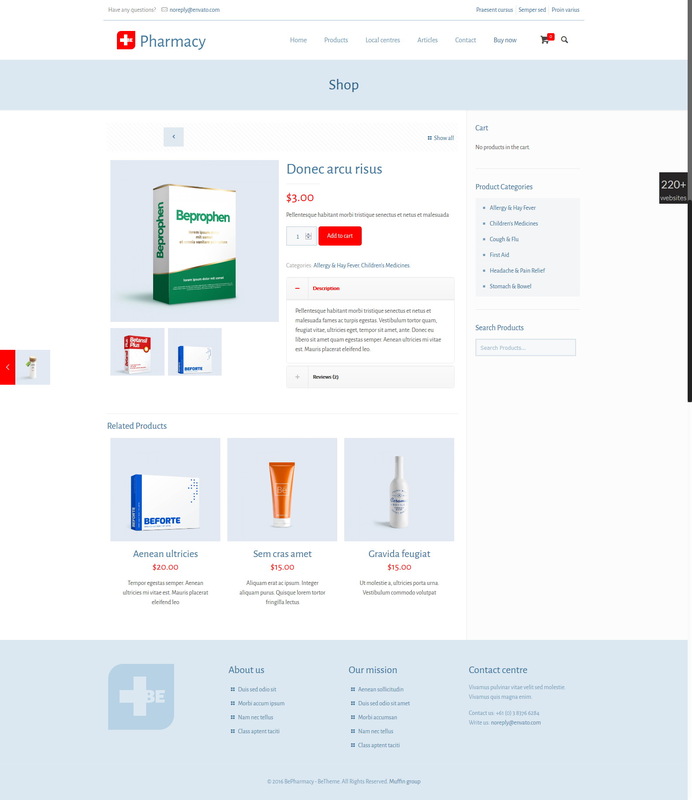 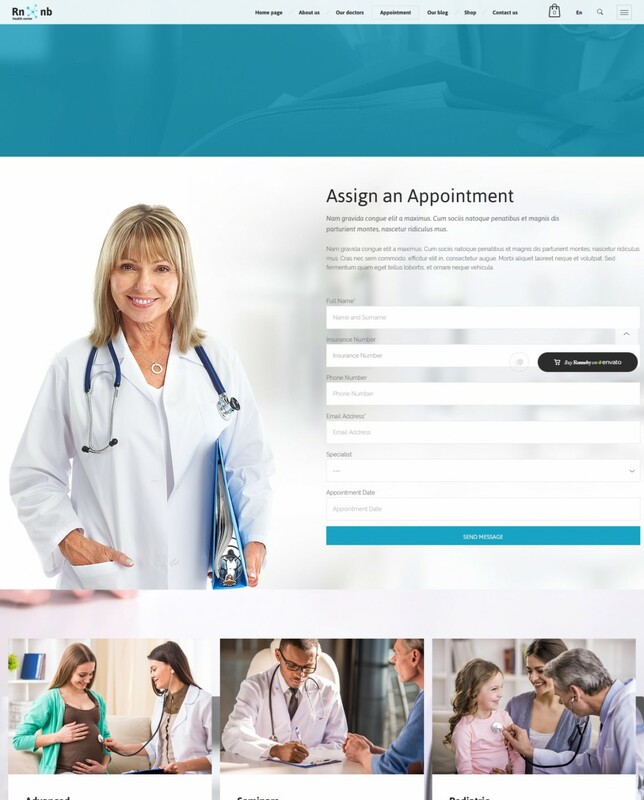 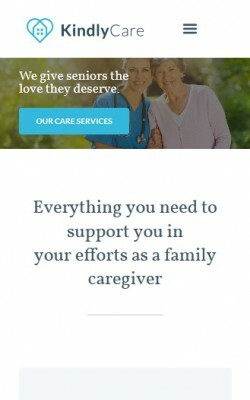 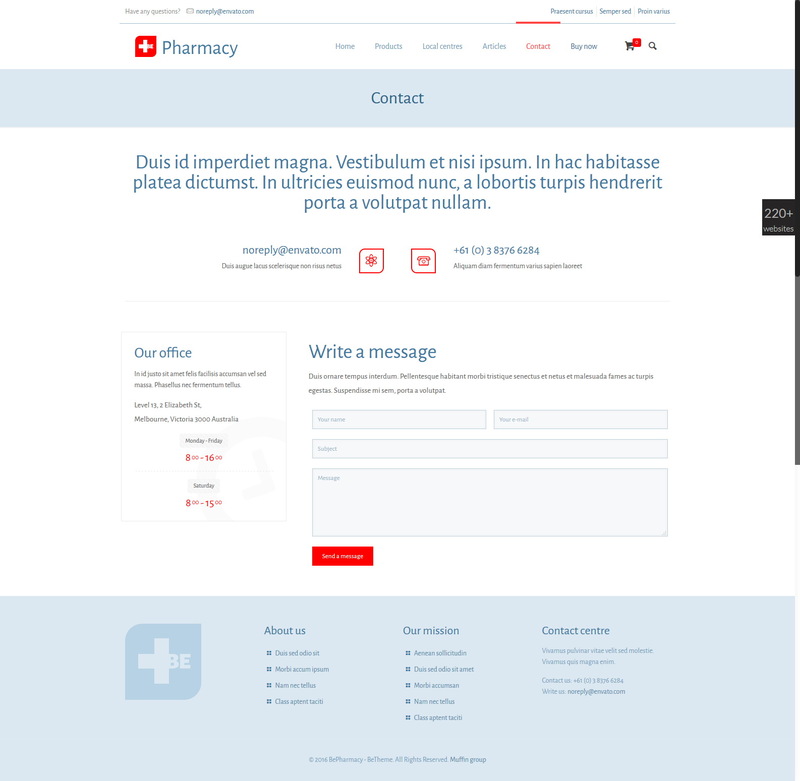 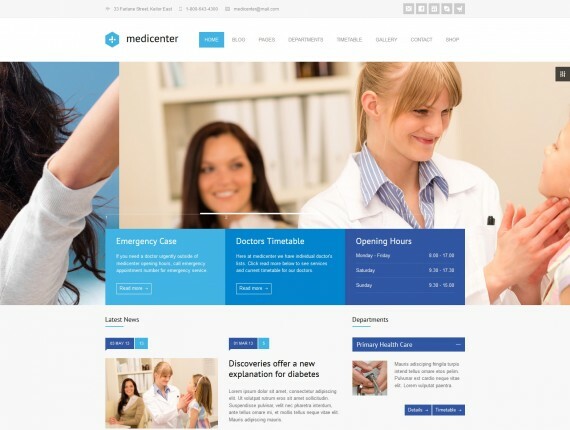 You can also find an extensive collection of free and premium medical WordPress themes for doctors, dentists, physicians, hospital, health related institutions, clinics, nursing homes, surgeons, physical therapy, pharmacy and other medical blogs and website. 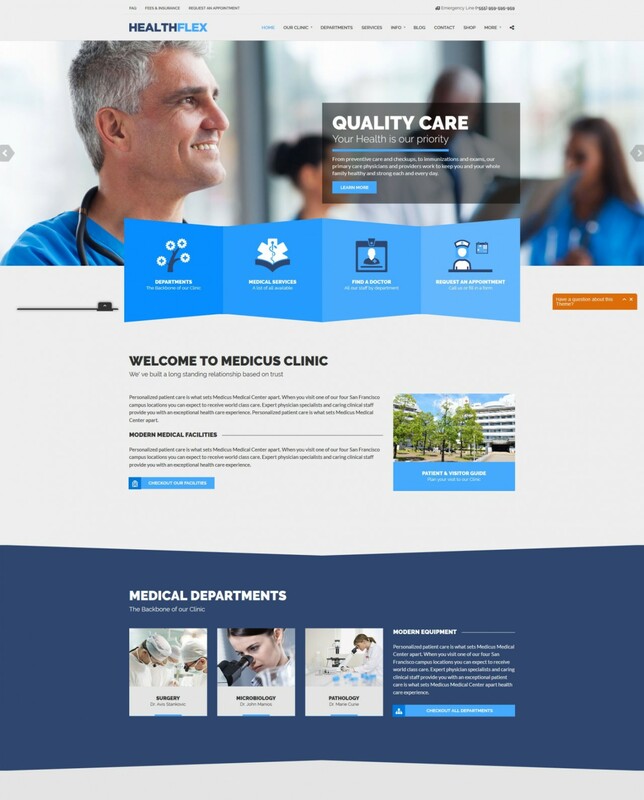 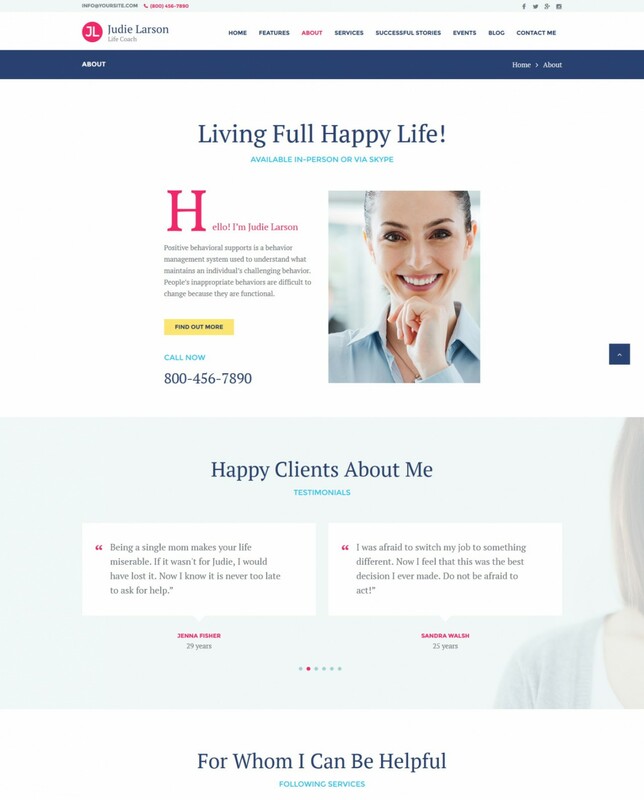 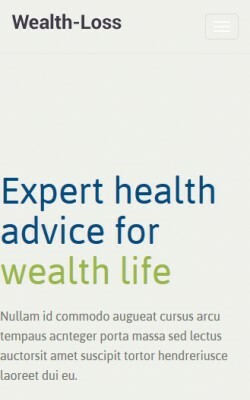 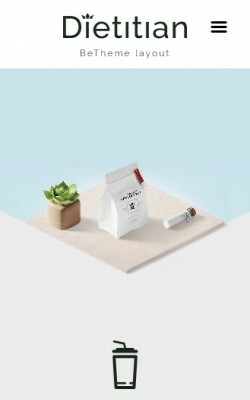 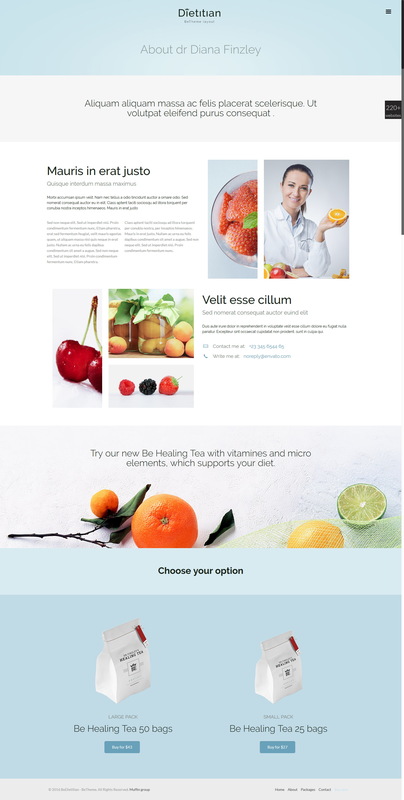 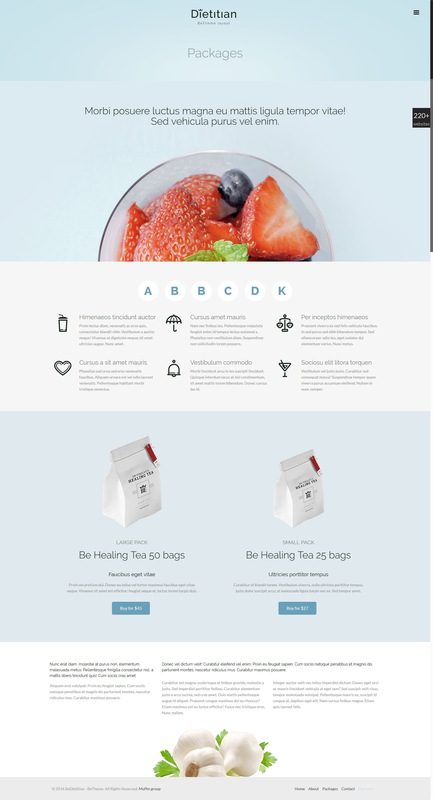 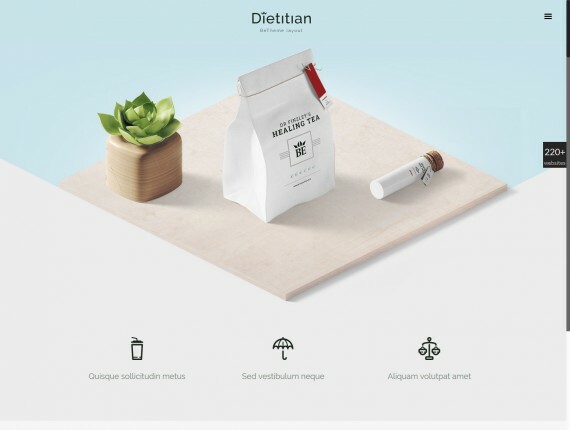 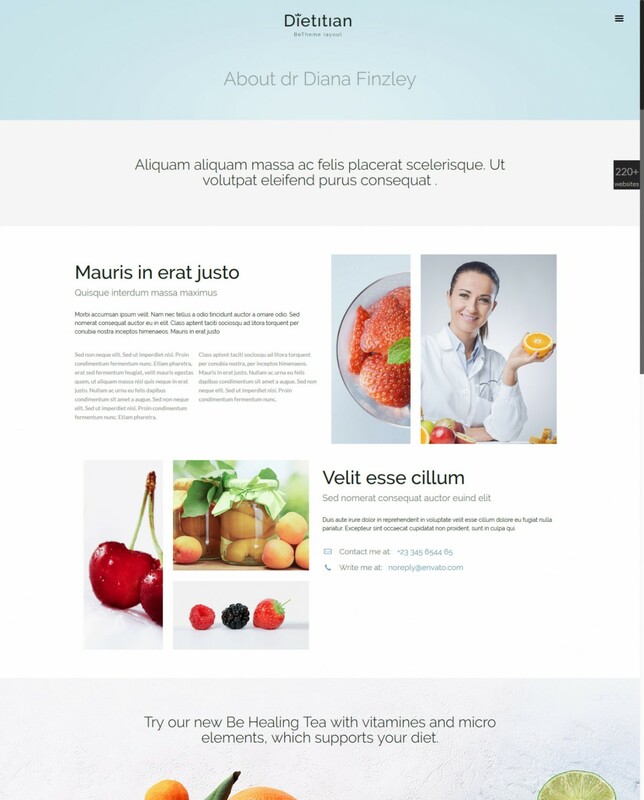 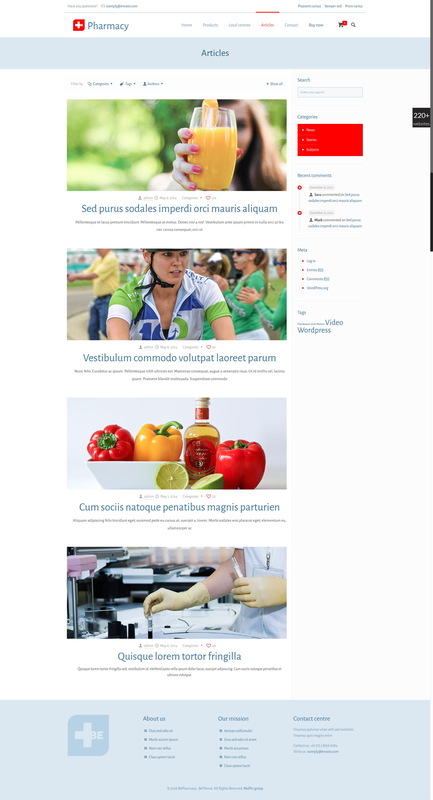 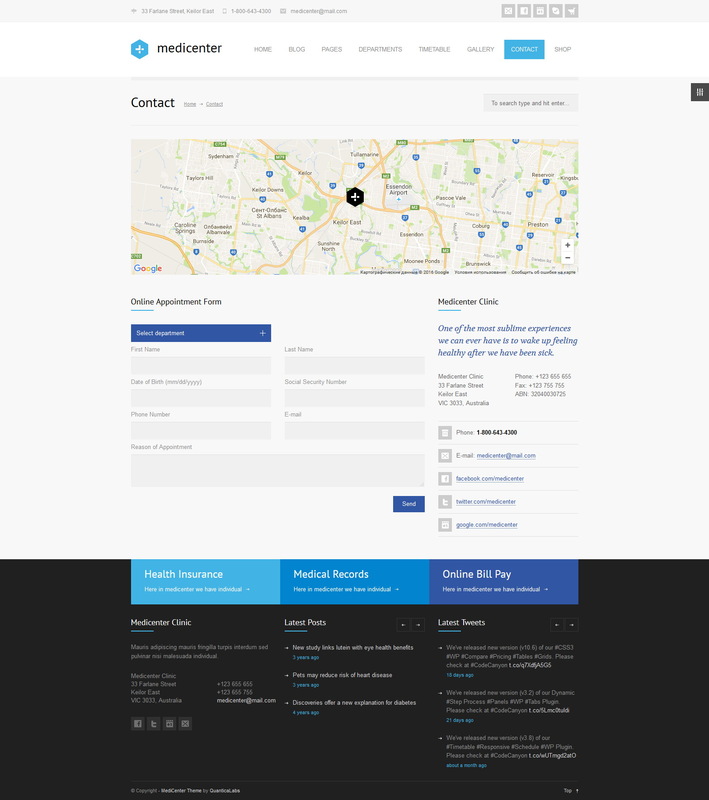 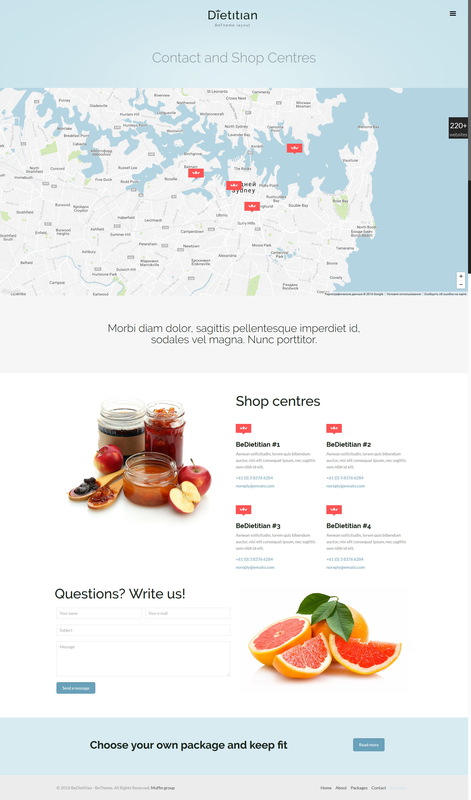 Each health WordPress template has been designed to help webmasters concentrate on their passion to blog about what cares them the most - health related issues - rather than run into site development and maintenance troubles. 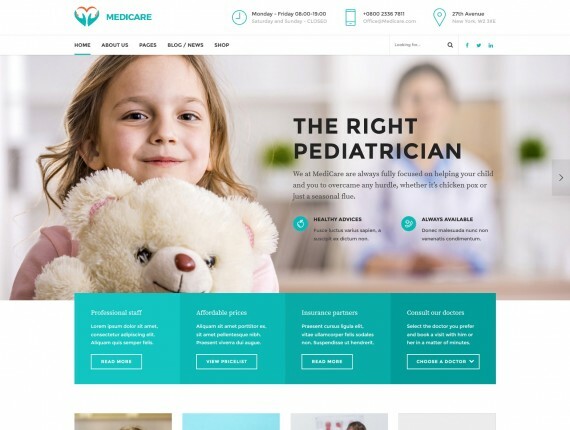 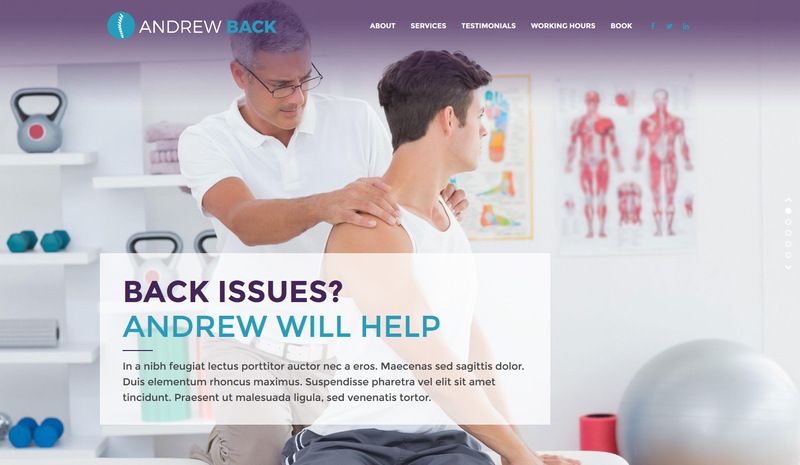 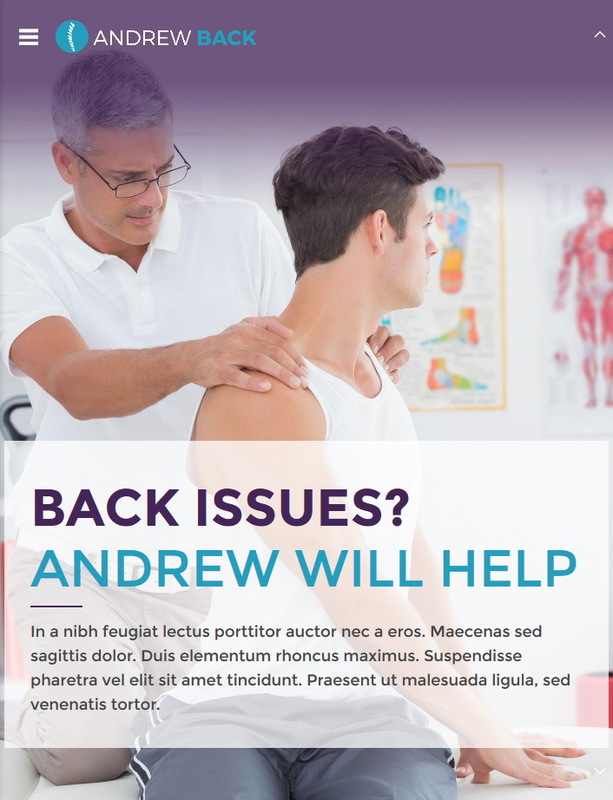 Owners of medical websites and blogs will find the featured medical WordPress themes to be the best solution to present their clinics, physical therapy services, counseling, phychiatry and dentist offices, surgeons, hospitals, and other medical related websites. 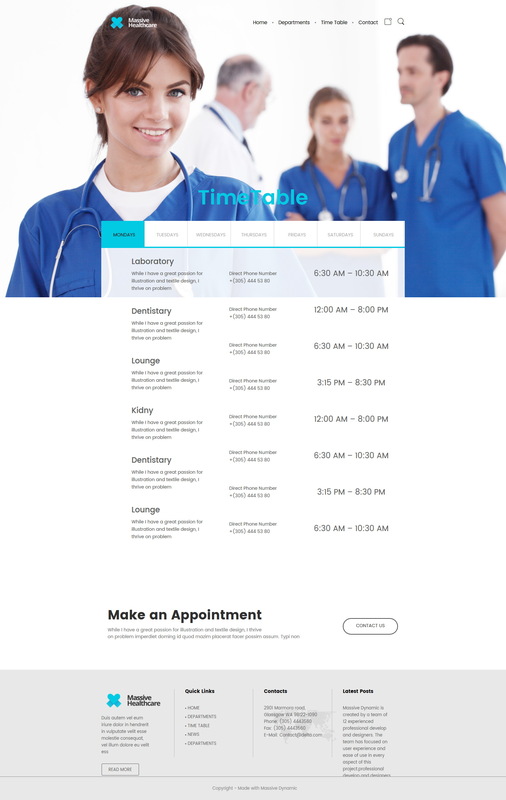 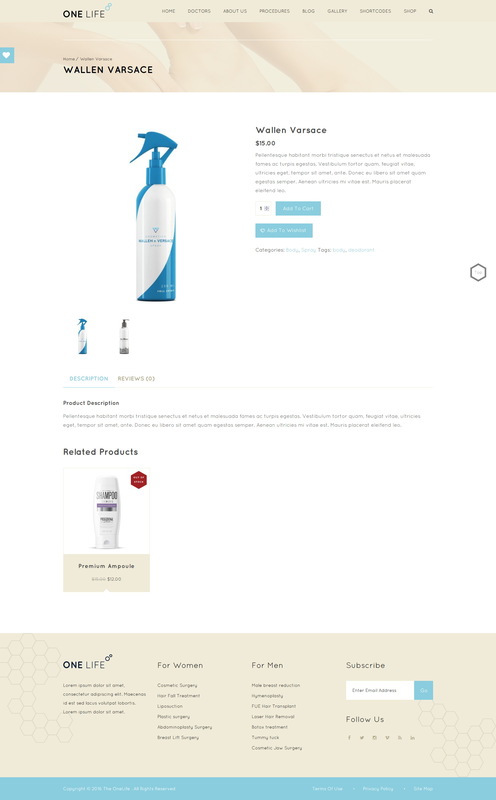 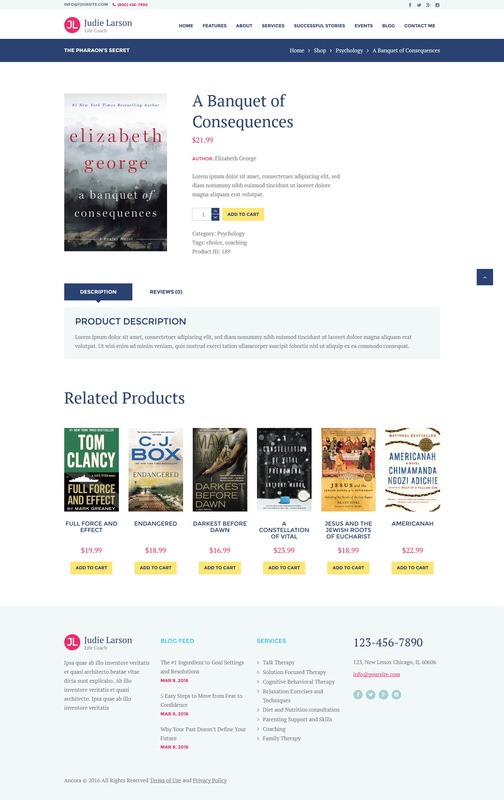 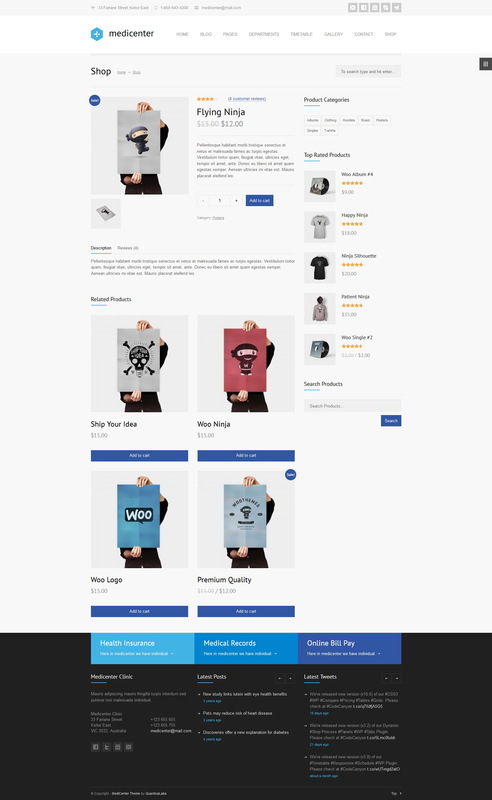 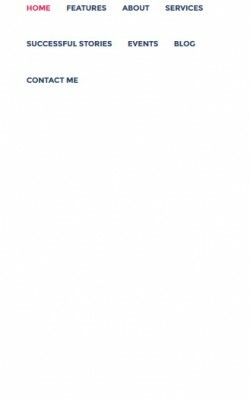 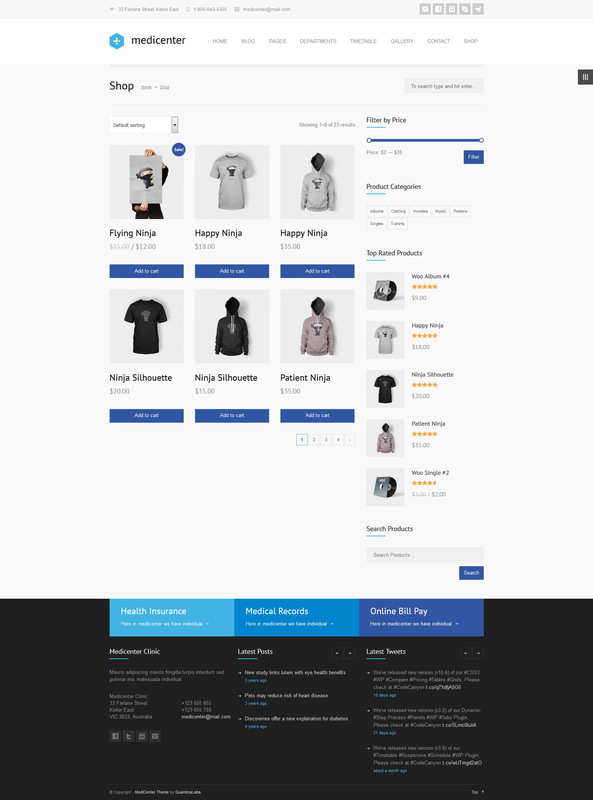 The vast majority of the templates contain a variety of layouts, color options, portfolios and timetable functionality, visual page builders, social media integration, and product display options.